Manufacturing of the best quality aluminium channels has enabled us to list our names in the list of outstanding coated alumineum channels traders in India. The aluminium is fabricated using all the modern equipments and machineries available in our manufacturing unit. 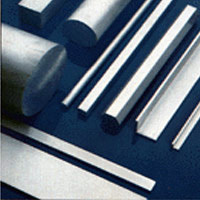 Our extruded aluminium channels are used in many of the industrial works and hence are highly demanded in the market. Our best extruded aluminium channels are also available as per the specifications given by customers. Our customers place light as well as bulk orders that are duly transported on timely basis. The cost of the aluminium channels is quite affordable.